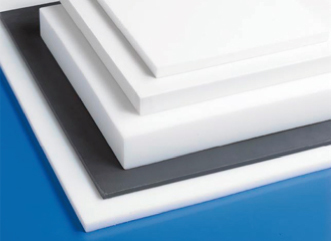 PTFE sheet type material is utilized in a wide range of applications such as valve sheets, gaskets, cushioning materials, insulating materials, and machinery parts. PTFE’s features such as chemical stability, electrical stability, and a low friction factor make it applicable in a number of industries. 200-500mm square boards with 5-155mm in thickness are available and used for various uses from lining sheets to component manufacturing by MC. Abundant discs with outer diameters of φ50 -φ470 are available. The discs are most suitable as a shock-absorbing material in a field needing chemical resistance and certain electrical characteristics. *Rod materials (cylindrical shape) can be sliced if necessary depending on the amount and size. *Please click here to see the information about rod materials. 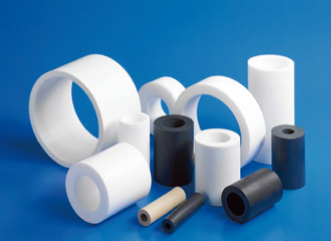 PTFE has the characteristics of chemical stability, electrical stability, and a low friction coefficient. PTFE sleeve rod is a material of cylinder form used for shock-absorbing materials such as valve sheets and v-packing, unlubricated bearings for machine parts, and bellow plumbing of carving processes. Boasting the largest variation of sizes in Japan, the external diameter φ16.5-φ610 of sleeves are available. Please contact us for your requested size. We will manufacture it with speed and efficiency. 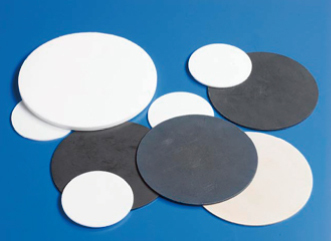 Various sizes of external diameter φ10- φ500 from thin to thick types are available. 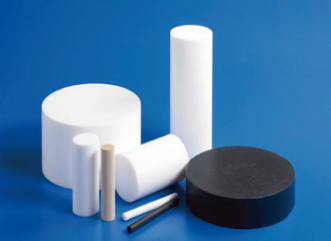 Since the material is a cylinder type, it can be utilized for various purposes. A variety of products to meet the customers’ needs, purposes, usage environments, and required performances are also available. We cover products from PTFE with filling materials to modified types that are strong to winding tiredness, such as glass fiber, carbon fiber, bronze, and products of special grade. *Besides the sizes mentioned above, long pipes are also available. Please feel free to contact us. *Please see information about the circular types here.